Keep both pate and clavicle warm with this bundle of hat and scarf. 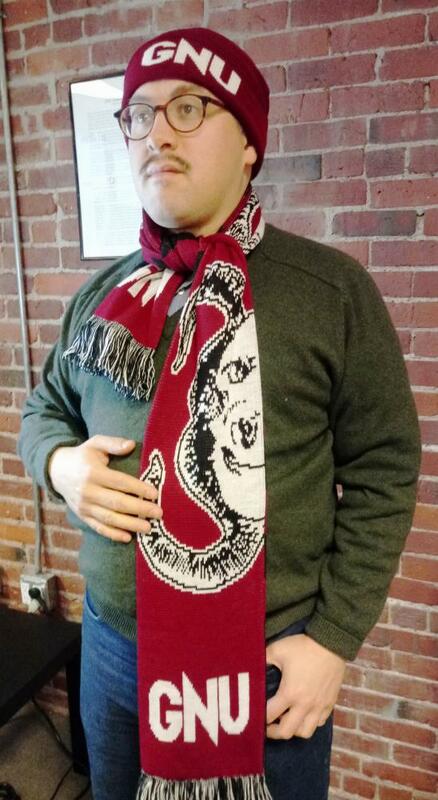 Like peanut butter and chocolate, or a rainy day and a sad song, or like Emacs and Emacs Lisp, the GNU Scarf and GNU Beanie belong together - matching colors and materials mark the wearer as the sort of person who plans ahead with decision and care. You'll also feel smart knowing you saved $5 purchasing these together.